Nano ceramic coating on windows and wheels. 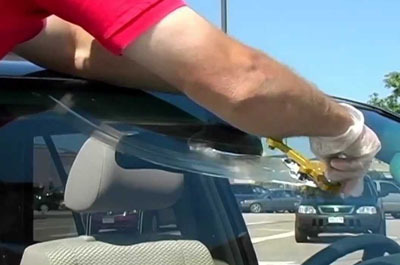 Broken windshields are often a significant pain. From chips and cracks to finish spiderwebs, broken automotive glass could be a serious issue in spite of the extent of the matter. That’s as a result of even little dings and splits in your screen will grow into vision-obscuring messes. However, screen replacement isn’t the sole resolution after you have broken motorcar glass. Smaller flaws will truly be repaired invisibly to revive each strength ANd an unclogged read to your screen. Here’s however it works. The first step to any screen repair is an analysis of the injury. The chip or crack ought to be examined for size and depth furthermore as location to work out whether or not it’s a candidate for repair. Most flaws up to six inches long are often mounted with the standard rosin motorcar glass repair. However, detain mind that this sort of resolution solely works once simply the highest layer of glass is broken. Fashionable windshields area unit composed of 2 layers of glass with a rubber membrane laminated in between; the repair will solely resolve problems with the primary layer of glass, therefore if each layers area unit broken, otherwise you have a hole that goes all the method through, it’s time to begin learning concerning screen replacement, not repairs. Also, some cracks that area unit round the perimeter of the windshield are often tough or not possible to correct, therefore make certain that the injury is found in an exceedingly fixable place. Rudy’s Auto has Certified Technicians for full windshield repair services in Calgary. Family-owned and -operated in Calgary, Rudy's Auto Refinishing & Collision (1998) Ltd. is an auto refinishing and collision centre that has been in business for 20 years. After hours Appointments Available by appointment only.